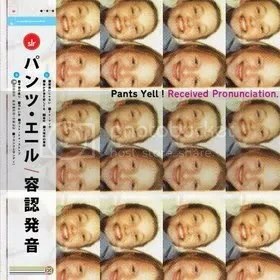 Pants Yell! are from Cambridge, near Boston, and they formed in 2003. In the past they had a girl drummer but it seems the trio is now comprised of all dudes. If I understand correctly, Received Pronunciation is their fourth full-length and their first release for Slumberland Records. I saw this band perform in Rochester in 2006 and while I was most impressed with their bass player’s good looks, I also recall them having a very poppy, “twee” sound. That sound is present on this album so I must remember their gig well enough. The nine-song album clocks in at just over 26 minutes but nonetheless is packed chock full of upbeat indie pop. The last song on this album, “To Take”, is probably my favorite as it has a very nice instrumental ending. The vocalist is kind of wimpy but I suppose that is to be expected with this type of music. If you like wussy pop music you’d probably like this, it’s good. This entry was posted on January 16, 2010 at 12:00 pm and filed under TheSlacker. You can follow any responses to this entry through the RSS feed.